Count me as doubtful, but it’s difficult to think that the cheese I make will rival that of the fresh dairy beautifully-aged cheeses. But this blog isn’t for the faint of heart, nor is it written by the fearful. So, I will record the history of our cheese-making experience. I haltered her and walked her up and down our mountain trails, poked her, lifted her legs, and bugged her enough to desensitize her to most anything. 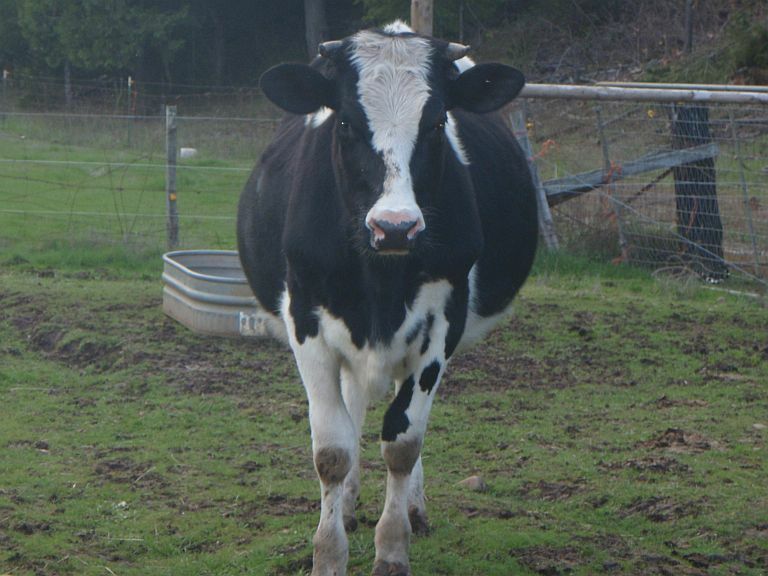 Now, at almost five-years-old, she stands for the 80 school children as they try their hand at milking and learn where butter comes from. She is happy for their company and all the attention. Once I collect six gallons, it’s time to make cheese. (On the farm it didn’t take long to realize that a six-gallon pot was required.) 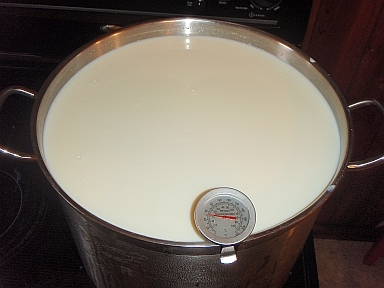 This pot is full with fresh milk on the slow rise to 100 degrees to make Cheddar Cheese. 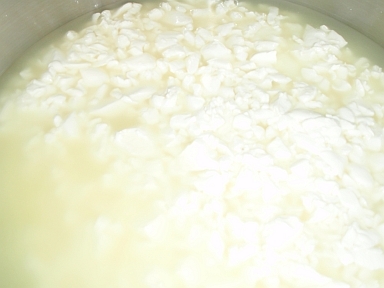 When the cheese reaches the correct temperature, the culture is added and left to mature. (This time can vary based on the type of cheese desired.) In this case, the culture matures for an hour before the rennant is added. 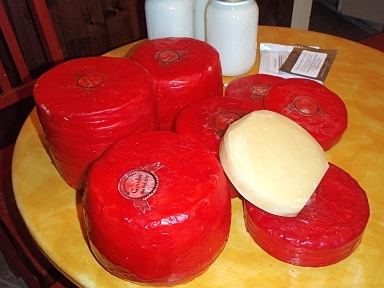 The rennant is an enzyme that sets the cheese into a semi-hard state. It’s not quite as firm as Jello, but cuts in a hard break. 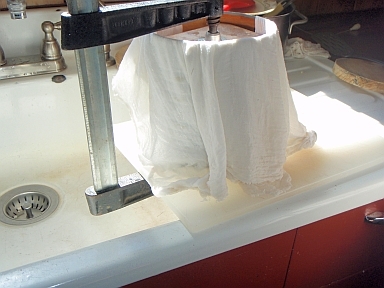 The curds are then placed in cheese cloth and pressed for fifteen minutes, removed, re-wrapped, pressed again for thirty minutes. One last time the cheese, which has now become a solid block of curd, is removed, re-wrapped, and pressed over-night at 50 pounds. It air dries for three days, then is waxed to age from seven months to one year. We’ve had the pleasure of tasting our smoked Gouda, which turned out nicely. We also make Ricotta, yogurt, buttermilk, and more. Next week I’ll try my hand on Brie (my favorite!). 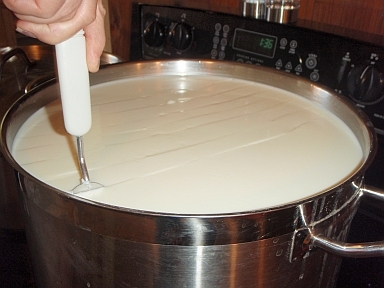 This entry was posted in Cheese Making, Farm Recipes, Fresh, Homesteading, Storage. Bookmark the permalink.